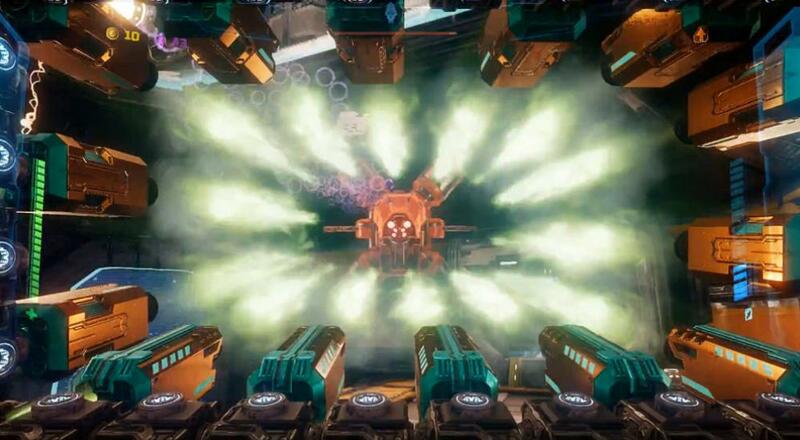 We were excited to check out Terrible Posture Games' rogue-lite/bullet hell FPS, MOTHERGUNSHIP, with a buddy and enjoy the chaos as we crafted our own impossible guns. Sadly, the co-op feature was delayed on both the consoles and (just prior to launch) the PC. With the "MOTHERGUNFRIENDSHIP" update that was released this week, though, you can now play this intriguing title with a friend. The biggest part of the update was adding the promised two player online co-op mode to the game. Now you and a friend can team up to play through the campaign together using your custom-crafted weaponry. Should one player fall in combat, they'll turn into a turret on the other player's back, so the co-op goodness can continue. The update also added a few new enemies, some new room layouts (the levels are all randomly generated each time you do a "run"), and a handful of other balances/tweaks. MOTHERGUNSHIP is available now on the PC, Xbox One, and PlayStation 4. Two player online co-op is supported throughout the campaign, except for the initial tutorial mission. Page created in 1.0107 seconds.